Marina Frayman specializes in Addictions and co-occurring disorders, having worked with adolescents and adults struggling with the disease of addiction. She recognizes the constant struggle of her clients to maintain sobriety, and is invested in helping individuals find relief from the cycle of alcohol and drug dependency. Marina has worked with parents of substance abusing teens, working through co-dependency issues and the hardships associated with living with a drug and alcohol dependent loved one. Marina also has experience working with individuals struggling with Depression, Anxiety, Bipolar Disorder, Eating Disorders, Self-Mutilating behaviors, and Impulse Control Disorders. 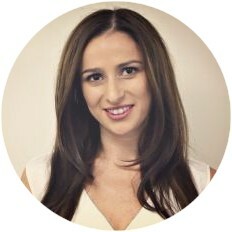 Marina earned a Masters degree in Clinical Psychology with a concentration in addictions from Chestnut Hill College, and has spent most of her training as a therapist in inpatient and outpatient substance abuse treatment programs. Marina has worked with individuals ranging in ages from 13 to 65 from different cultural and socioeconomic backgrounds. She has also spent some time working with individuals struggling to maneuver the criminal justice system and therefore, understands the stress and pressure associated with having legal problems in conjunction with mental health dilemmas. Marina strives to help those in crisis, understanding that bumps in the road may seem unmanageable and confusing at times. She believes that therapy is a collaborative relationship in which the therapist and client work together to build fresh coping skills and achieve desired goals. Marina uses her sensitivity to help her clients find clarity and peace within themselves.